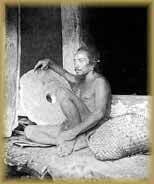 It was not the first time outsiders had settled in what is now Yap State. In 1731 a Catholic Mission was started by Spaniards on Ulithi Island. A supply ship returned to the island about a year later and to their astonishment discovered that the natives had massacred the 13-man colony. 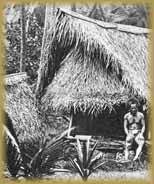 No nation ruled Yap when the Germans opened the Nungoch trading station. Though, Spain, Germany, and Britain all laid claim to the island, but none had ever bothered to challenge the others. The Yapese then had not the slightest idea of the outside world’s politics. They had their own society, their own government, their own way of life. 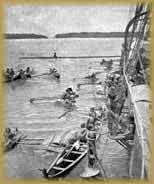 At that time Yapese were skilled navigators who raced their canoes south to Palau to quarry their treasured stone money. They were also skilled builders. Yapese huge thatched meeting and men’s houses and stone paved paths around the island were as well engineered as many buildings and roads found in Europe and America. Yap was an island of villages that fought wars against each other. After each war, the stronger village ruled the weaker village. As a result an elaborate caste system developed. Other high villages in Gagil Municipality such as Gachpar and Wanyan had a very strong influence over the outer islands of Yap that became known as the Yapese Empire. The German trading station brought little change to Yap. The trading station also had little success due to their failure to persuade the Yapese to produce large quantities of dried copra. This remained for a shipwrecked American sailor, David Dean O’Keefe, to develop the copra trade and perhaps cause the most changes in Yap’s way of life. 1500 B.C. Yap populated by migrants from Eastern Indonesia or the Philippines. Archaeologists are still studying the migration issue and have not conclusively determined when or how the islands of Yap were settled. The arrival of settlers may have occurred as far back as two-three thousand B.C. 1525 On October 1, the Portuguese explorer Dioga Da Rocha arrives in the islands of Yap, probably Ulithi, and stays for four months. Over the next two centuries more than twenty other explorers and traders of Spanish, British, Dutch and American origin passed through the Yap Islands. 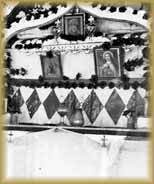 1731 Father Jan Cantova and Father Visitor Walter bring Catholicism to the island of Mogmog, Ulithi. After several months Father Walter returned by ship to Guam. Shortly thereafter Cantova and his party were massacred, perhaps by local priests opposed to the new religion. 1800 -1860 Intermittent trading between Yapese and Europeans for bech-de-mer (sea cucumbers). Britain’s Andrew Cheyne was perhaps the most well known trader during this period. 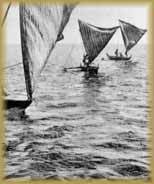 Outer island residents began making regular voyages of their own during this time to Guam and the Marianas. 1818 One hundred Outer Islanders from Lamotrek sail to Guam and a year later establish a colony in Saipan. 1869 Germans establish the first permanent trading station, Godeffroy & Son, under the management of Alfred Teten. By 1874 its holdings included 3,000 acres of land, a cotton plantation and a ship repair operation. 1871 David Dean O’Keefe, and American sailor on a pearl diving expedition aboard the Belvedere, is shipwrecked on Yap and rescued by the Yapese people. He was later taken to Hong Kong on a German trading ship. 1872 O’Keefe returns as skipper of a Chinese junk named Catherine, after his American wife, and begins his famous trade of stone money for copra and bech-de-mer. 1874 Spain claims sovereignty over Yap. 1876 Germany sends a warship to Yap to map the island and protect German interests. 1880’s Yap is established as commercial center of Caroline Islands. 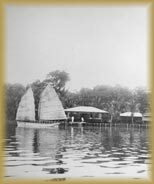 During this period Yap serves as the major regional source of copra, home to four trading companies, and a coaling station for Spanish steamers. Raising the German Flag1885 Spanish-German feud reaches climax. On August 21st, two Spanish ships arrive with a governor, two priests, soldiers, convict laborers, horses, water buffalo, cattle and stones for a governor’s house and a mission. Four days later, the German gunboat Litis drops anchor and a small party races ashore to raise a German flag and claim the island-just prior to the formal colonization ceremony the Spanish are planning. 1886 Pope Leo XII settles ensuing feud between Germany’s Bismarck and Spain’s King Alfonso. the Pope awards Yap and the other Caroline Islands to Spain, but grants Germany and other nations commercial rights. Spain sets up a small garrison and begins building first of six Catholic churches. 1899 Spain sells Yap and the remainder of Spanish Micronesia to Germany for $4.5 million. First German delegation includes a governor secretary, doctor, police chief and 11 Malay police. 1900 -1906 Disease ravages Yap. Population declines from 7,464 to 6,641. Influenza and leprosy are especially potent killers. 1901 O’Keefe disappears at sea. 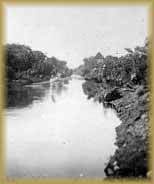 Tagreng Canal opens. 1902 Germans select one boy from each municipality for training as medical officer, and establish municipal medical stations. 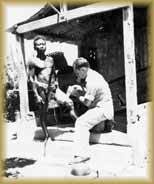 1903 Germans open the island’s first hospital near Tarang Island. 1905 German communications station finished, linking Yap with Guam and Shanghai. 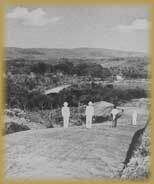 1909 Phosphate mines open at Angaur, Palau. Germans recruit 98 Yapese to work there. 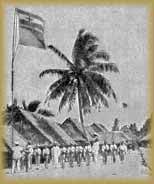 1910 Pohnpeians who revolted against Germans are exiled to Yap and Palau. 1914 World War I begins. British shelling destroys German communications center, and Japanese Expeditionary Squadron occupied the island on October 7 in a bloodless takeover. 1919 Secret treaty agreement between Japan and Britain guaranteeing Japanese control over all Pacific islands north of the Equator announced to the world in the Treaty of Versailles. 1920 -1940 Rapid Japanese settlement in Yap. Population of Japanese on Yap Islands jumps from 97 to 1,933. 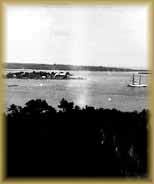 1921 Japan and United States sign treaty recognizing American rights to use Yap’s cable station. 1922 Japanese civilian administration begins under League of Nations Mandate. Tattooing banned. 1925 Typhoon destroys nearly all homes on Yap. 1935 Japan leaves League of Nations. Begins fortification of Yap. 1938 -1939 Military preparations begin. 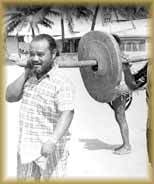 Yapese are forced to work in labor gangs. Nickel mine opens in Gagil. Strip mining for bauxite and phosphate on Yap and Fais. 1941 -1942 World War II begins. Japanese build lighthouse in Gagil and intensive gardening begins in a large part of southern Yap. 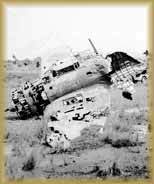 1944 Allies begin bombing Colonia, the Japanese airfield at the southern end of the island, and the airfield under construction in Tomil. 1944 allies U.S. Army 323rd Infantry, 81st Division seizes Ulithi unopposed. Island is rapidly turned into a massive staging area. At one point over 1,000 ships were anchored in the Ulithi Lagoon. 1945 Americans occupy island after Japan’s surrender. 1947 Chamorros, who had moved to Yap during the Japanese administration, are resettled on Tinian by the U.S. Navy. 1948 First Protestant church opens. 1952 Navy administration ends. Interior Department takes over the island on June 21st, and King W Chapman is named Yap’s first civilian administrator. 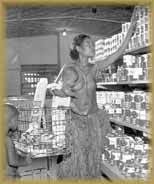 1957 Yap votes to allow sale of alcoholic beverages for the first time to Yapese. 1963 Loran station built. Airport opens. 1964 Bridge across Tagreng Canal linking northern and southern Yap for the first time since World War II opens. 1965 First General Election in Yap for Congress of Micronesia. 1966 Yap High School graduates its first class. U.S. Peace Corps volunteers arrive. 1967 Outer Island High School graduates its first class. 1968 -1969 District legislature organizes. 1969 Congress of Micronesia and U.S. begin first round of negotiations on future political status of Trust Territory Districts. 1978 Micronesia-wide referendum on the establishment of the FSM Constitution. Yap’s approval margin of 95% is highest in Micronesia. 1979 Yap’s Petrus Tun elected as first Vice President of FSM. John Mangefel elected first Governor of Yap. 1979 Yap State Hospital completed. 1986 Compact of Free Association between U.S. and FSM goes into effect. The Compact establishes security and economic agreements between the U.S. and FSM through the end of the 20th Century. 1987 John Hagelelgam of Eauripik, Yap, is sworn in as the second president of the FSM. 1990 September 17, the FSM is formally admitted as a member state of the United Nations General Assembly. Jesse Margelaw of Yap is appointed as the first FSM U.N. Ambassador, on an interim basis. 1992 In January, Martin Yinug of Yap is appointed as the first Micronesian to serve on the FSM Supreme Court. 1995 The Yap Visitor’s Bureau is established to serve the tourism needs of Yap State and its entrepreneurs.